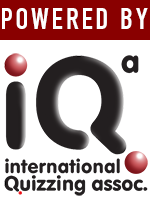 We established the International Quizzing Association (IQA) to bring quizzers together from around the world in high quality quizzes, and to help, create and support national quiz organisations. Our mission is to bring the World Quizzing Championships to television and to have quiz recognised as a mind sport. We want to actively encourage people to want to know about the world around them. The World Quizzing Championships are the result of a worldwide cooperation that includes representatives in each of the participating countries.